Say It Ain't So: 129 People Have Already Filed To Run For President In 2020 Already 129 people have filed to run for president in 2020. Among them: Donald Trump. Prominent people are considering it, but these elections receive outsize attention compared to office's power. The 2020 election cycle might have already started. The Federal Election Commission shows that 129 people have filed to run for president in the next election. Trump's election may have been a threshold moment in presidential politics, opening the door for anyone to run or at least think about it, who might not have before. Becoming president is no longer about the ascendancy of current officerholders or lifelong public servants. That experience is no longer a prerequisite. Now, wealth, power and celebrity not only have a door open for access, but for the possibility of themselves being in charge. It's atypical for Washington and more like what's seen in Hollywood or major financial centers, like New York or London. It's, in part, the evolution of decades of disengagement from the American public, more interested in celebrity than the policy-wonk world of Washington. Presidential elections have become treated like reality shows, giving presidential candidates outsize attention compared to the actual power they have, while lower-level, closer-to-home elections and civic engagement get far less attention from voters and the media. The consequences of that are not yet known, but already what's emerged is activists dominating. For 2020, people are already taking steps to be part of the conversation. And the list below reflects the new reality. It's a who's who of politics, business and, yes, even one outright Hollywood actor with no political experience. -Facebook's Mark Zuckerberg was on a tractor, feeding baby cows, eating cheese curds, holding kittens, talking to cops, firemen and military leaders. He even ditched the hoodie for a suit in a black church. He posted it all to his Facebook page. Seriously. There's been plenty of speculation about Zuckerberg and campaign-like writings he's done recently. Asked by Buzzfeed if he has plans to run, he said, "No." But when pressed if he'd explicitly rule it out, "Zuckerberg did not immediately respond," Buzzfeed wrote. -When Howard Schultz stepped down as CEO of Starbucks in December, there was all kinds of speculation that he'd run for president (see: here, here, and here). In his farewell to his employees and investors, he talked of "rising nationalism," "shared values" and the need to build "a great and enduring America." He said: "We're living in a fragile world. There's a need for more passionate government." In 2016, he told CNN, "never say never" to a run. -Former Vice President Joe Biden was in New Hampshire this week. "Guys, I'm not running," he insisted. Maybe he just likes the spring foliage? Still, Biden's making lots of stops that are raising eyebrows — he's speaking at a Florida Democratic fundraiser, making several commencement speeches and said at a conference in San Diego: "I don't plan on running, but everybody says because I won't commit that I will not run under any circumstances, that means I'm running." And remember, Biden teased tongue-in-cheek in December: "I'm going to run in 2020 — for president. What the hell, man, anyway." -Elizabeth Warren has been on a book tour. She not only trash talked Republicans but Democrats, too. As for 2020, she told NPR's Audie Cornish, "I don't have any plan to do that." No plans... OK. When Matt Lauer told her on NBC's Today Show that people are printing, "She persisted" bumper stickers, she just smiled and remained silent. -Bernie Sanders was also on tour with Democratic National Committee Chairman Tom Perez. He was mobbed by adoring fans, which he seemed to like, but there were some awkward moments that show he's still not quite willing to get in line with the establishment. -Kirsten Gillibrand, who replaced Hillary Clinton in the Senate, ruled out running in 2020. But is that ironclad? Asked about 2020 in Upstate New York, the New York senator said, "Well, I'm dedicated to serving our state as our senator, and I'm running for re-election, so I can continue to be their senator." Asked if she's ruling it out, she said: "I'm focused entirely on running for Senate, so yes, I'm ruling it out." What happens when or if that focus changes? Here's the thing: she needs to win reelection in 2018 before she could even think about going public with plans to run for president. She was rumored shortly after the 2016 election to be reaching out to Clinton donors. -Ohio Gov. John Kasich is also selling books. Asked on CNN if he's running for president again, Kasich said, "No, no, no." Buuuut... "You don't close the door on anything," he added. -Sen. Al Franken of Minnesota is also part of the book club. He has a book coming out at the end of the month, Al Franken, Giant of the Senate. Him running "isn't as crazy as you might think" and "isn't a joke," others have written. There's already a "Draft Franken 2020" site. But he told a Minnesota radio show, "First of all, I'm not running for president. I think that normally what senators do is to enter the presidential race, then lose very quickly and run for the Senate. That seems to be how it works." He bluntly said, "No," he isn't running. Yet... his forceful questioning in hearings has raised his profile. "It's very clear now that he is trying to raise his profile and position himself as a leading critic of Donald Trump," Jim Manley, a former top aide to former Majority Leader Harry Reid, D-Nev., told The Hill. -The Rock, yes, The Rock, is on the cover of National Review as "The Celebrity We Need," written by someone else who almost ran for president in 2016. And before you dismiss a celebrity actor formerly involved with wrestling, look at the current occupant of 1600 Pennsylvania Ave.
-Colorado Gov. 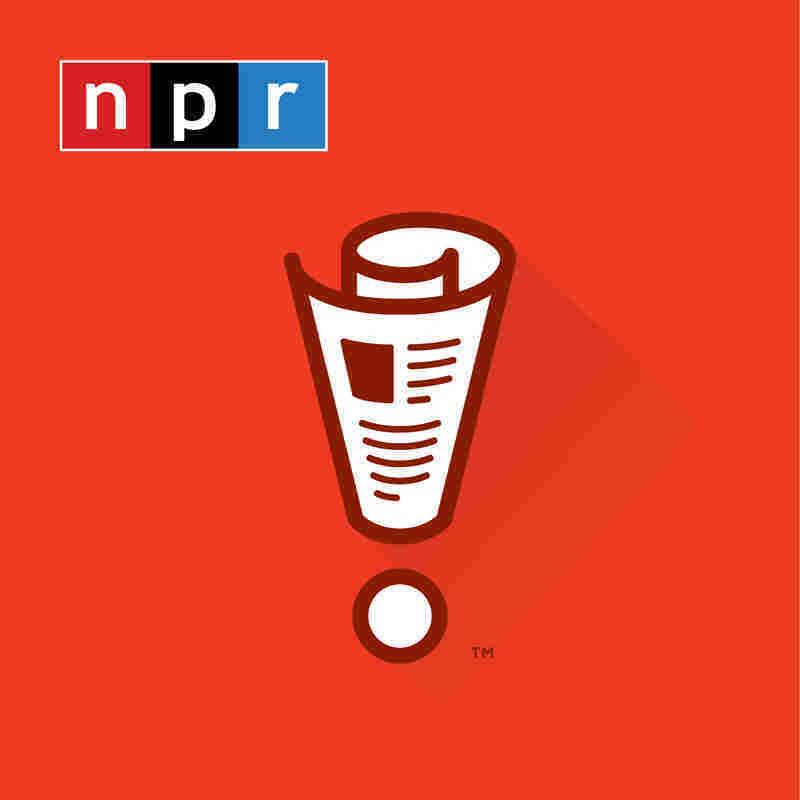 John Hickenlooper told NPR's Wait Wait Don't Tell Me game show that he might be open to a run. "Two years from now, if everyone else is running, then we'll see," he said. -Hillary Clinton is setting up a PAC and writing a book. But no one expects she'd run. This week, though, she noted how close she was to winning. -Michelle Obama is super popular. But she says no chance she's running. "No, No. No," she told Oprah. "Look, that's one thing I don't do, I don't make stuff up, I'm not coy. I haven't proven that. I'm pretty direct — if I were interested in it, I'd say it. I don't believe in playing games. ... People don't really understand how hard this is. And it's not something you cavalierly ask a family to do again." OK, that sounds pretty definitive. -Tom Cotton, the fiery Arkansas Republican, has already been to Iowa. "Iowa, there's nothing normal about Bible-believing Christians being tarred as bigots because they simply want to live their faith in their day-to-day life," he said. Although that was three weeks before the 2016 presidential election. With Trump winning, he's probably more thinking 2024 at this point. -Rep. Jason Chaffetz, R-Utah, might be running in 2020 — for governor. He isn't running for reelection in 2018. But forget 2020 for president, he's already thinking longer term. He's already bought up Jason2028.com. American elections are already too long, so why wouldn't it become the case that they bleed all the way into the first few months of a new presidency? TV news ratings and Web traffic spike in presidential years and fall off in off-years and midterm elections. Presidential turnout rates are far higher in presidential years than in midterms. On average, since 1980, the U.S. has seen a 29 percent drop from presidential elections to midterm elections, and it's been on the rise. As it is, the U.S. lags far behind other Western democracies in voter participation — even in presidential years. But there's a danger in this. 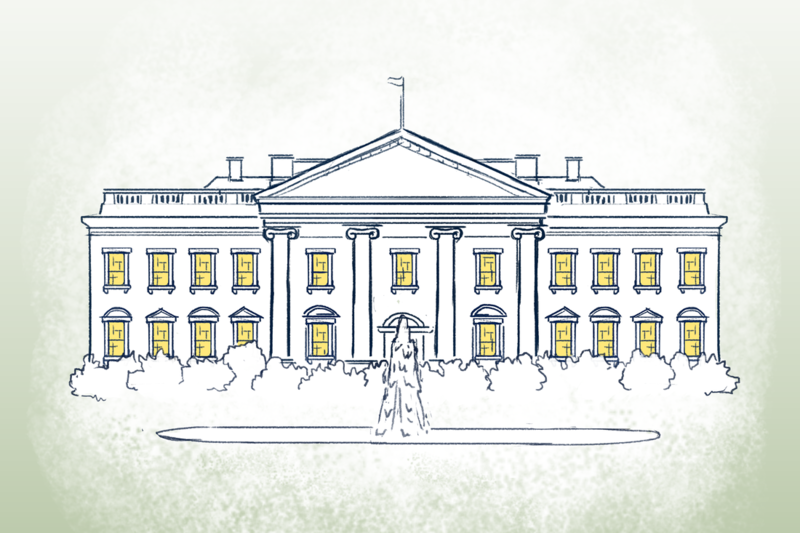 The American presidency is limited — by design. And yet, presidential elections are given outsize prominence to the detriment of policies that could affect real people's lives and important lower-level elections. Americans just aren't as interested in civic participation as they are celebrity. That means that when policies are pushed only a moneyed few with access can have quiet influence in Washington. And it means that activists can control the levers of power locally, which trickle up to power nationally in forms like gerrymandering in redistricting. Politics is hard, and it can be annoying, but being disconnected from it has consequences. And the kinds of people who could become president is one of them.